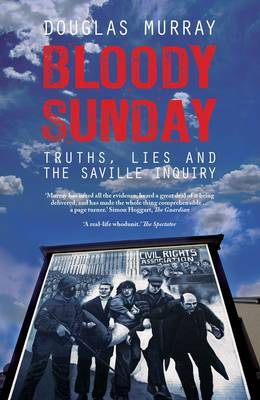 For almost forty years the events of 'Bloody Sunday' on January 30 1972, have been the subject of intense claim and counter-claim. In 1998 Tony Blair attempted to settle the controversy by commissioning a fresh inquiry. The longest, most thorough and costly inquiry in legal history, the details of the Saville Inquiry are hardly known. Douglas Murray followed the Inquiry daily, almost from the beginning, hoping to find a story. Instead, he found hundreds. In this book he tells these stories - the stories of the individuals involved in the terrible events of that defining day. This book is not only about a terrible event and it is not just about a process of justice. It is about the efforts of a group of people to arrive at truth and a country's effort - three decades on - at a painful and perhaps incomplete reconciliation.